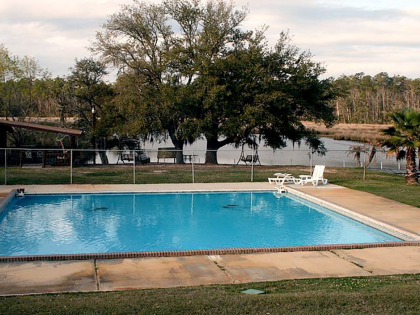 Beautifully situated on the verdant shores of the Sioux Bayou near the Pascagoula River, Indian Point RV Resort offers a tranquil escape in convenient proximity to some of Mississippi’s most gorgeous recreational areas. Buy an Indian Point RV membership on the resale market and save a bundle on this gorgeous waterfront escape. Indian Point RV Resort is situated in a peaceful wooded cove over 180 acres with park-like grounds running right to the water’s edge. 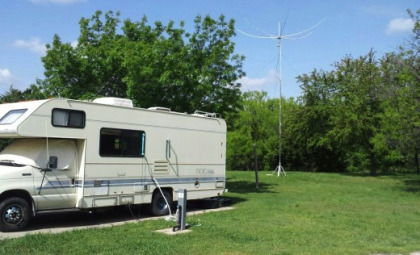 Dozens of beautifully landscaped, level RV sites include some pull-throughs. Enjoy super amenities including full hook-up, water and sewer, cable television and 30/50 amp electric hookups. RV sites include access to the resort’s dock facilities and spacious outdoor pool. Guests enjoy resort facilities including clubhouse, pavilion, kiddie pool, and free WIFI. Outdoor fun includes playground, horseshoes, basketball, min-golf and terrific fishing pier with cleaning station. Buy an Indian Point membership and enter a world of boundless outdoor recreational opportunities both on the water and on land. Picnic, swim, fish, sail, kayak and water ski in one of the Gulf coast’s most popular outdoor recreation areas. The Pascagoula River is the longest free-flowing waterway in the nation and is a fabulous natural habitat for numerous wildlife, especially breeding migratory birds. For those looking for a bit more action, Biloxi is only 15 miles away as are the casinos where you can try your luck. For deep sea fishing experts, try heading over to Gulfport. If you want to remain a bit closer to camp, Pascagoula is only five miles away with plenty of shopping, historic landmarks and southern charm. Contact Indian Point RV Resort Specialist Today!